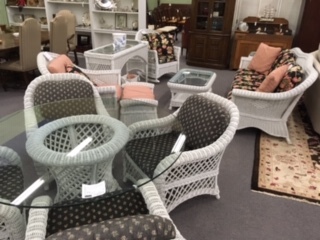 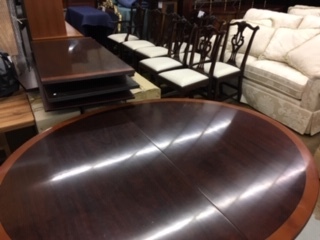 Stickley, Henkel Harris, Henry Link, Hickory Chair and More! 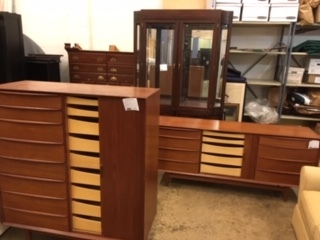 Teak Mid Century Modern Bedroom Set. 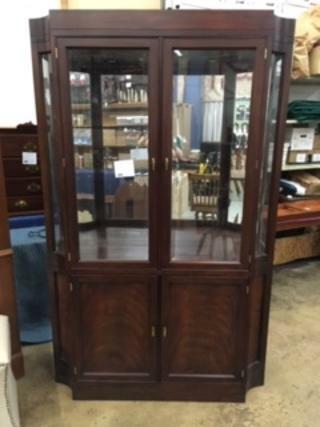 Henkel Harris Display Cabinet #220CL. 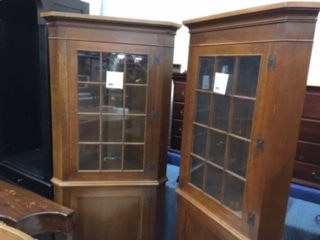 Pair of Mahogany Cabinet-Made Corner Cupboards by Biggs of Richmond, VA.
Stickley Banded Table and Chippendale Chairs, Henredon Sofa and Loveseat. 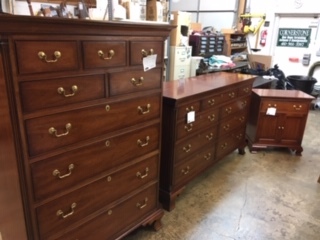 Hickory Chair Bedroom with Master Dresser, Large Chest and Bedside Stand. 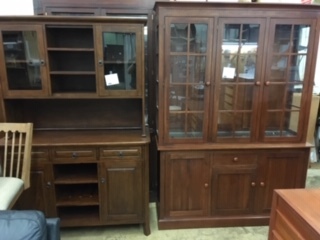 Crate & Barrel Hutch and Ethan Allen China Cabinet. 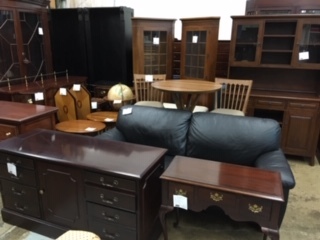 Mahogany Credenza with File Drawers, Hall Table, Black Leather Sofa, 3 Piece Counter Height Dinette and More! 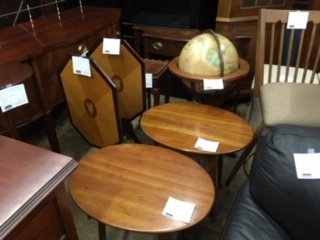 Stickley Oval End Tables, Bombay Inlaid Tilt Tops, Lighted Globe on Stand.